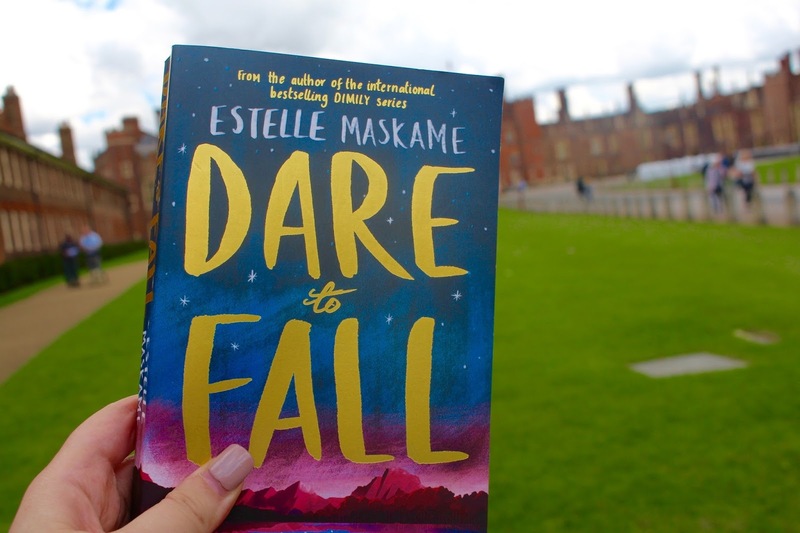 I love books/authors that aren't afraid to tackle darker subjects within their writing, so of course, I jumped at the chance when I was asked to review bestselling author, Estelle Maskame's latest novel, Dare to Fall* which focuses heavily on the subject of grief. 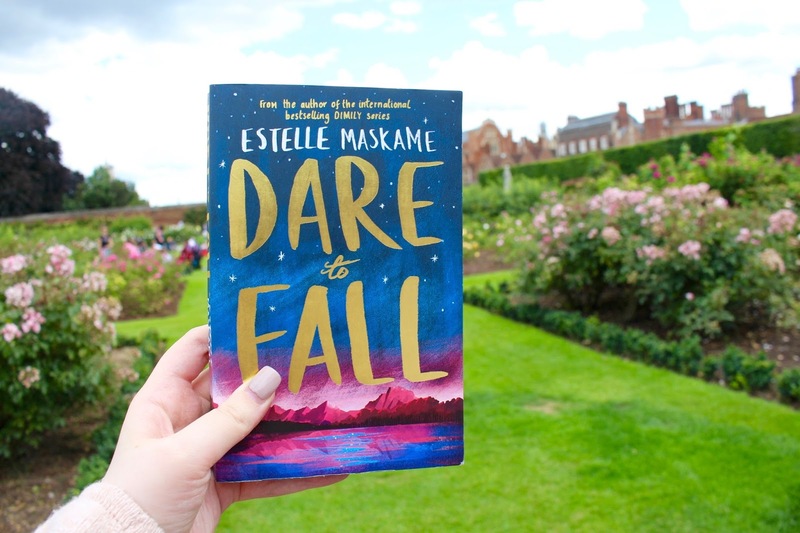 At just twenty years old, Estelle Maskame has published no less than four novels - the popular Dimily trilogy, and now the wonderful, Dare to Fall. Dare to Fall focuses on the life of MacKenzie Rivers, and the multitude of characters around her that are all fighting a losing battle with grief. Each of these characters deals with their grief in their own way; whether it's through downing a secret glasses of wine when no one is looking, or accidentally on purpose slamming into a few extra players on the football field; others blame themselves for what happened, and then there are those that remain silent and do nothing as their world crumbles around them. A year ago MacKenzie had her life together, she was in love, but when a local tragedy rips (her almost boyfriends) family apart, she does the only thing she feels comfortable doing - walks away. Now one year on, MacKenzie, - wracked with guilt and a nostalgia for how things used to be- decides to reconnect and make amends, only not everyone wants to reconnect. What I love most about Dare to Fall is how each relationship intertwines, and how just when one area of the protagonists' life starts to come back together, another part seemingly begins to crumble. Though the Teenagers' interaction with each other are very predictable and slightly cliched, it is Mackenzie's relationship with her almost alcoholic mother that I enjoyed the most whilst reading Dare to Fall. We are privy to MacKenzie's innermost thoughts surrounding the situation, and though we (well I) completely understand her actions, part of me still wants to grab MacKenzie's shoulders and yell at her, to tell her that she is making the wrong decision. Estelle Maskame has created a wonderfully believable setting, in which all of these characters and their stories come together. It is a shame it had to end, as I would love to have seen more of this small dreamy picturesque town in Colorado. I am not a massive fan of repetitive description (I don't need reminding that a certain character has blue eyes every 2 minutes) and I also felt that some of the names were very similar, so it confused me a little in places, but overall the writing style is pretty decent and easy to read. Romance/love stories really aren't my cup of tea, but that being said I really did enjoy this novel. It would have been three stars, but the twist earned it an extra half star as it added some great, much needed, drama. If you're a fan of Jandi Nelson, John Green, and Rainbow Rowell, then I am sure you will love Dare to Fall! You can buy Dare to Fall on Amazon & Book Depository, as well as all other places that sell books. 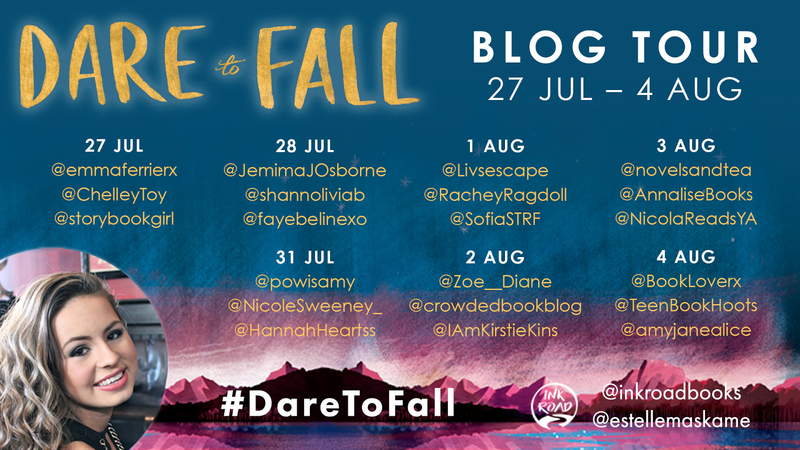 If you are still not convinced, then why not check out some of the other reviews it has received on the #Daretofall Blog tour!